Researchers had recently discovered a cutting edge technology in the area of ‘Eye Health and Body Wellness’. 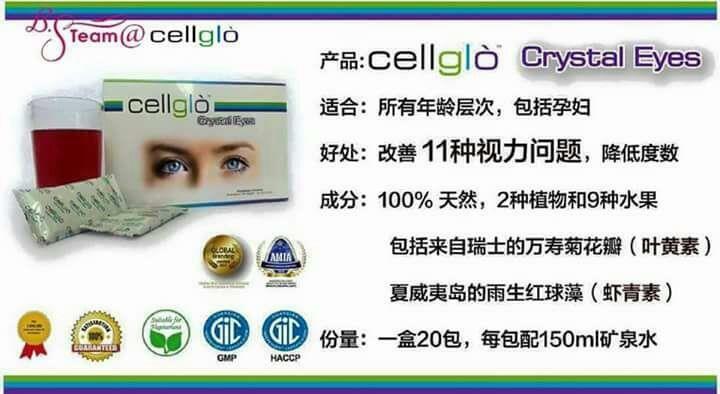 By using two (2) main botanical ingredients LUTEIN and ASTAXANTHIN together with nine (9) types of wild berries and natural fruits which recently made their way to the market the new product is found to be far more effective and can produce result in just a matter of days! 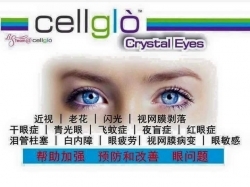 Our bio-chemist from France discovered that Crystal Eyes formula can inhibit the damaging effects of oxidative UV blue light stress that can eventually lead to eye symptom such as Age Macular Degeneration (AMD), Dryness, Cataracts, Floaters, Glaucoma, Astigmatism, Lazy Eyes (Amblyopia), Shortsightedness (Myopia), Presbyopia , Detached or Torn Retina, Night Blindness and Retina Pigment Epithelium (R.P.E.). 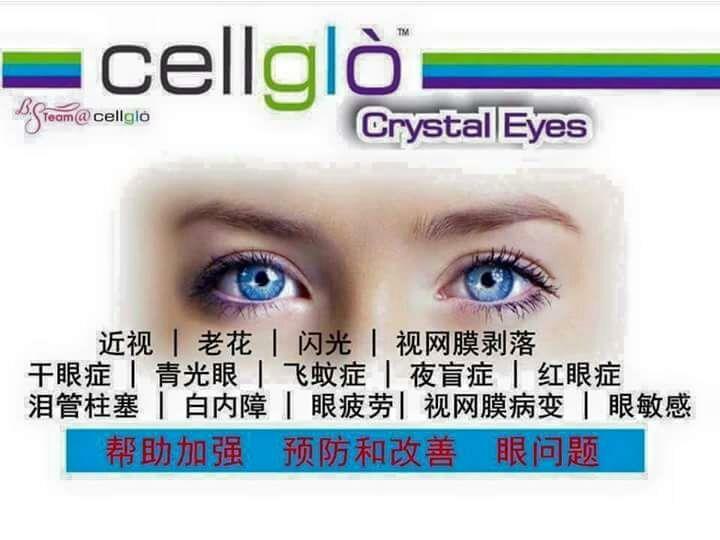 Crystal Eyes formula uses these incredible superb quality nutrients which are hard to find in typical eye health products. The product can also improve skin hydration by 38%, elasticity by 8% and super facial lipids by 33%. It may help booster the skin’s natural antioxidant defence system which can eliminate various types of skin problems. Other than eyes and skin it can also help reduce inflammation, lower the risk of heart disease, stroke and other body ailments. The challenging thing is these incredible nutrients are hard to find in typical eye health products. And they must be the superb quality for you to reep the benefits for your eyes and body.